Occasions are never ending, be it weddings or festivals. On every occasion you want your little one to look best. 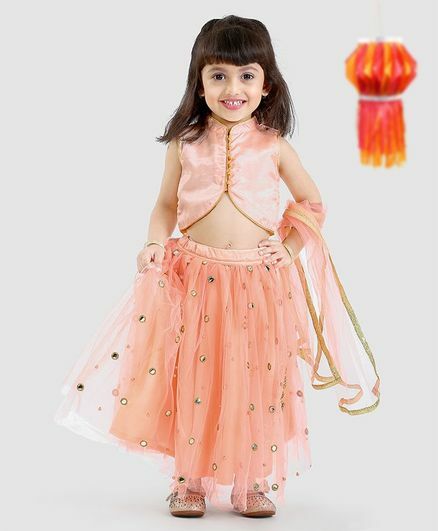 Babyoye offers this exclusive ethnic wear specially designed for your little darling to make her look adorable as always. Attractive design and vibrant shade of this set makes it a must-have for your little girl. Note: To confirm the sizes, please click on the measurement link above.